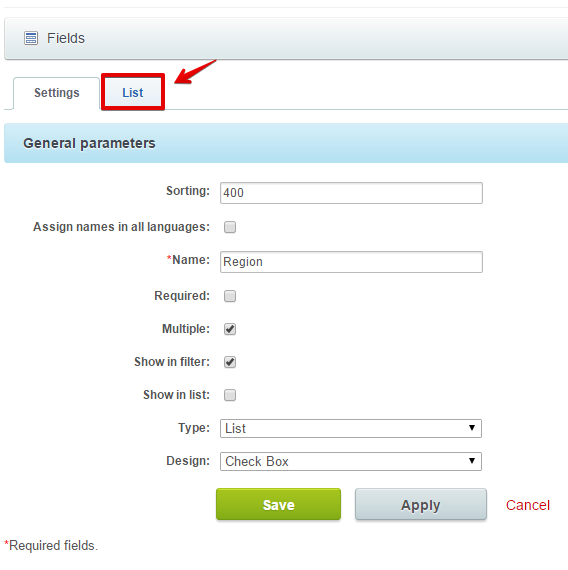 You can add fields of list, file or bind to.. types only in CRM> Settings > Form and report settings > Custom fields section. if you need this field to be mandatory to be filled, please choose "required"
choose design "list" or "checkbox"
In case you would like to completely delete any of the custom fields you have created, go to CRM > Settings > Form and report settings > Custom fields. You can always Reset form view to default there as well.